You need to know that your pets are well cared for and that someone will be there for them. That’s important to us! 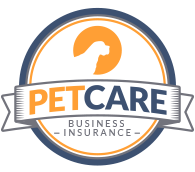 Because we know what it’s like to have a full life, we also know how important it is to know that you can count on your pet care provider. The health and well-being of our own pets is of utmost importance and that translates to your pets. That is why we get detailed information about your pet(s), so that we are well informed prior to a meet and greet. Our questions help us to provide the care your pets deserve and will help you be at ease whether we are taking care of them during the day or you are on vacation; you can rest assured they are receiving plenty of TLC! We know how much love and companionship our pets give us. That is why we will treat you and your pets with the kindness and care that you deserve. ​To bring a standard of comfort to your pet(s) that they have grown accustomed to.